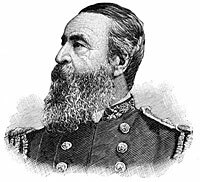 David Dixon Porter was a Union Navy admiral and son of War of 1812 naval hero David Porter. 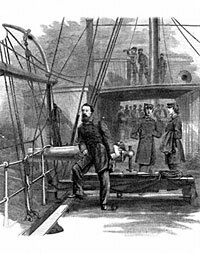 At the beginning of the war, Porter’s loyalty was questioned, given his close association with southerners like Jefferson Davis. 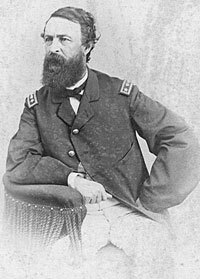 Porter himself said he was headed to California to captain a mail boat and wait out the war. 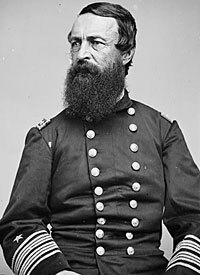 Instead, he commanded federal warship Powhatan that was sent by President Lincoln to relieve Fort Sumter in April 1861, but he was diverted to Fort Pickens in Florida by a mix-up in orders caused by Secretary of State William H. Seward and abetted by Porter. 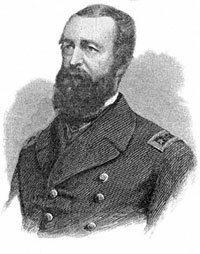 Porter was in the thick of the diversion, working closely with Army Captain Montgomery Meigs to devise the operation in conjunction with Secretary Seward, Porter continued the diversion even after Seward had reversed his position. I thought I would call, before leaving Washington, and pay my respects to the President. I found him in company with Mr. Seward, and both gentlemen seemed glad to see me. ‘What can I do for you, Captain,’ said the president. The President then made me describe the battle at the passage of Forts Jackson and St. Philip, making his usual shrewd comments on the matter. ‘I read all about it,’ he said; how the ships went up in line, firing their broadsides; how the mortars pitched into the forts; how the forts pitched into the ships, and the ships into the rams, and the rams into the gun-boat, and the gun-boats into the fire-rafts, and the fire-rafts into the ships. Of course I couldn’t understand it all, but enough to know that it was a great victory. I reminds me,’ continued the President, ‘of a fight in a bar-room at Natchez, but I won’t tell that now. ‘How is that, Seward?’ said the President. I took my leave on the plea that I had to catch the train for Newport. Under Flag Officer David Farragut, Porter helped return New Orleans to Union control in April 1862. 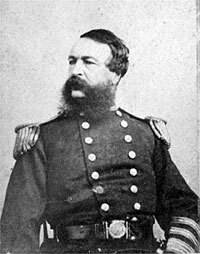 Smart and loyal but brash and impulsive, he was often at odds with superiors in the Navy, especially Secretary Gideon Welles and all Union generals like Benjamin Butler and Nathaniel Banks. However, working with Generals Ulysses S. Grant and William T. Sherman, he had a key role in recapture of Union control of Mississippi River. The three military officials held a strategy conference with President Lincoln in Virginia in March 1865, shortly before the end of the war. 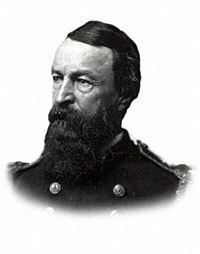 After the war, Porter served as superintendent of the Naval Academy (1865-1868). David Dixon Porter, Incidents and Anecdotes of the Civil War, p. 22. Gideon Welles, Diary of Gideon Welles, Volume I, p. 25. Welles, Diary of Gideon Welles, Volume I, p. 19. 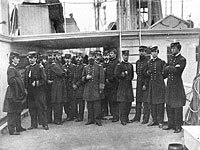 Craig L. Symonds, Lincoln and His Admirals, p. 19. Symonds, Lincoln and His Admirals, p. 188. Porter, Incidents and Anecdotes of the Civil War, pp. 221-222. Osborn H. Oldroyd, editor, The Lincoln Memorial: Album-immortelles, pp. 399-400.